With a textured palm for both great grip and dexterity, the Supertouch 6117 Nylex Gloves are perfect for a range of assembly and engineering tasks. These 13-gauge knitted gloves with an elasticated knitted cuff are comfortable and protective, ensuring your hands remain safe from abrasions, tears, minor punctures and cuts. The 6117 Nylex Gloves are designated Category II gloves, which means that they are suitable for most medium risk applications. 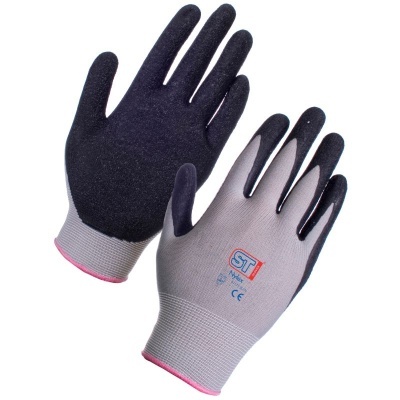 The 6117 Nylex Gloves are available in five sizes that should be suitable for most people. Please measure the circumference of your hand around the knuckles (excluding the thumb) with your hand open and your fingers together, and the length of your hand from the tip of your middle finger to your wrist.